Coordinated pots flank the front porch. 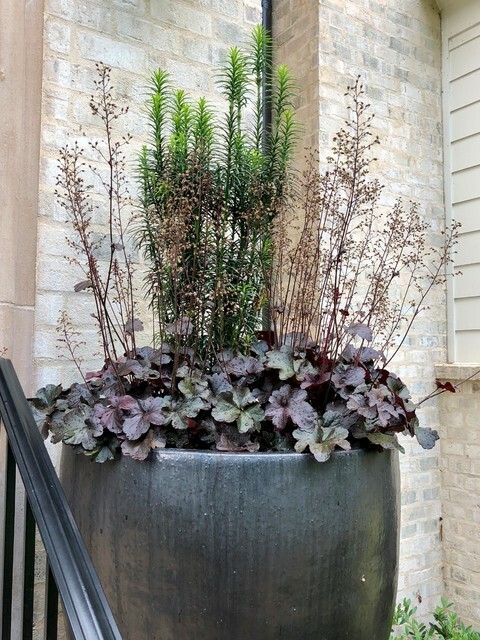 They are simply planted with Obsidian heuchera and fastigiate yew. Photo by Jay Sifford.